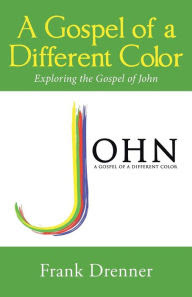 Several years ago I saw an advertisement in a church magazine for an event called the Festival of Homiletics. It was a gathering of hundreds of preachers from around the country for a week of worship and learning from leading pastors of mainline denomination churches (Presbyterians, United Methodists, Lutherans, etc). I had some continuing education funds to spend, so I signed up. I think the conference that year was in Atlanta. I loved it. It was great to sit in gigantic, beautiful churches, like Peachtree Road United Methodist Church, and listen and learn without having to do any of the difficult work of planning. It was a rare opportunity to be a participant in worship, not a leader. That was probably the year 2000 or so. Since then I have attended the Festival of Homiletics (homiletics is the study/art of preaching) in cities across the country: Minneapolis, Denver, Atlanta again, Nashville, Washington, DC. I took a few years off while I was working on my doctorate in preaching (2007-2009), and the last few years I have not attended; the speakers, while still great, are mostly the same every year. 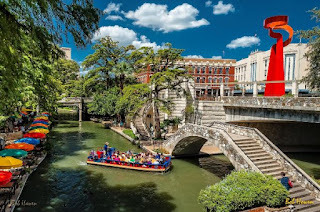 When I was exploring opportunities for continuing education this year I discovered the Festival would be in our own backyard: the Riverwalk in San Antonio. So I'll be there May 15-19. One of the featured speakers is Rob Bell, who produced the wonderful Nooma DVD series a decade or so ago, as well as several very thought provoking books, like Velvet Elvis and Love Wins. Another presenter this year, whom I know well because we did our doctoral work together, is Dr Amy Butler, senior pastor of the Riverside Church in New York City. Another voice I am excited to hear is Nadia Bolz-Weber, lead pastor of the House of All Sinners and Saints in the Denver area. And there will be the usual suspects who speak at the Festival every year: legends like Barbara Brown Talyor and Walter Brueggemann. I would invite you to remember me and the thousand or so other preachers in attendance, that this would be a week of renewal of energy and spirit. While it is an amazing privilege to be a preacher, it is exhausting and stressful work. Thanks for listening every week! Speaking of listening, we're trying to share the good things happening here at Grace with more people in our community. There are several ways you can participate in this effort. They are easy and cost nothing. What's to lose? Facebook has more than a billion daily users. If it was a country it would be the world's third largest, trailing only China and India. If you are on Facebook, like Grace's Facebook page (click on the link to go there now). Liking the Facebook page will keep you up to date on events, like this Sunday's Grillin Chillin and Fun church picnic. Then you just click share to invite others. Easy! Write a Google or Facebook review of the church. Share what you like: music, a sermon, Bible study lesson, service opportunity, whatever. People are looking for a place to learn, grow, and help others. Help them find us! Check in on Facebook when you come to worship. Open up Facebook, click check-in, then click Grace UMC. Say something like, "I love my church family!" or "Excited to be here today!" You'll hear more about these and other tips to tell others about Grace in the coming weeks.You are the most effective tool we have to reach others for Christ! If you invite, they will come. So join the effort! Go Grace Team!